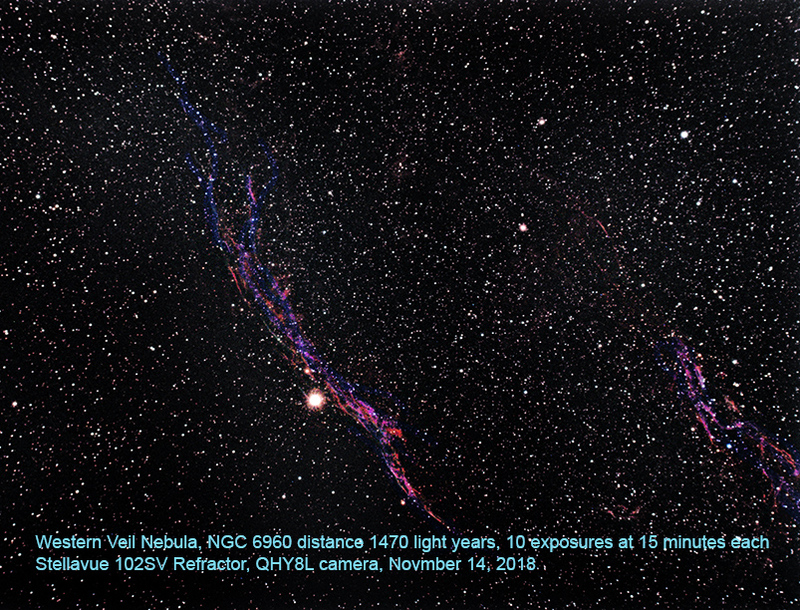 Western Veil NGC 6960, Stellarvue 102SV refractor, 10 exposures at 15 min each, QHY8L camera, iOptron CEM60 Mount, from Pasadena California, "Light Pollution Central". Its amazing with that light pollution you can capture those filaments. Nice work mate. Incidentally, what are your LP levels there? I'm about in the middle right of this view near the hill at right edge. quite a glow to overcome! lol, geesuz Tony! That is crazy. 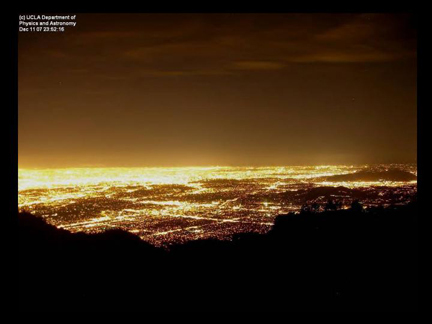 Can you believe how much energy is wasted by light going straight up. Anyway what about an East / West Veil mosaic?